My first rotation as a senior Family Medicine resident was this past July at Salt Lake Regional Medical Center, more affectionately known as “The Reg”. With three months under my belt as an intern at the hospital, I felt as ready as I ever would be to take on the challenge of senior on the Family Medicine Inpatient Service. I was working with two interns in our program, and we also had a fourth year medical student from the University of Utah on the team who was starting his inpatient wards sub-internship. Needless to say, we dove right in to our duties, bracing ourselves for whatever The Reg had to offer. About two weeks into the rotation, the medical student and I had the pleasure of working with an elderly lady who presented with a hip fracture and poorly controlled COPD. After caring for her for several days, the patient was much improved and ready for transfer upstairs to the rehabilitation floor. A few days later, we returned for morning sign-out, and the patient was back on our list. Overnight, she had suffered a respiratory arrest with subsequent cardiac arrest and irreversible anoxic brain injury. We were devastated. The medical student had never been on a team where a patient had died, let alone been her primary provider. After debriefing, we proceeded with patient care. I guided the medical student step-by-step through the events of the day: notifying the hospital chaplain; organizing a family meeting with the attendings; and planning for withdrawal of care in accordance with the family’s wishes. That afternoon, the student and I pronounced the patient dead. Again, we debriefed. After much discussion and consolation, we ended our day prepared as well as we could be for the next. Fast forward to last week. Once again I’m working with both interns and medical students, but now it’s on Labor and Delivery at the University of Utah. This time with two months of Obstetrics experiences and >70 deliveries painstakingly entered into our tracking system E*Value, my role as a senior continues. Each day, we run the board, admit laboring patients, and answer STAT pages for ibuprofen, Colace, and breast pumps. However, the real fulfillment comes with every opportunity to be involved in a delivery. One afternoon I was working with one of the third year medical students who had yet to delivery a baby, although he had become quite adept at delivering placentas. We started following a lovely multiparous patient who was more than happy to have the medical student involved in her delivery. After patiently following her progression of labor, it was time to have a baby. With the attending’s oversight, I coached the medical student. From ensuring adequate patient pushing to monitoring the fetal heart tracing to controlling the baby’s head at the time of delivery, we helped bring a healthy girl into the arms of her mother. I highlight these two situations for several reasons. First, they truly encompass what it means to be a Family Medicine physician, taking care of patients from birth to death, “the cradle to the grave”. Second, they emphasize what I have enjoyed most about being a senior resident: teaching. Only one short year ago, I was in the interns’ shoes. Now I have the opportunity to share my experiences and all that I have learned with these new interns and medical students. Not only will they grow from my insights but also I will be able to further develop my skills and knowledge as a clinician through teaching. Up next, I’ll be moving out of the hospital and on to a clinic-based rotation. I will once again have the chance to work with medical students, as well as physician assistant students. I look forward to whatever adventures this next step has to offer, remembering that whether in joy or sadness, there is always an opportunity to teach, grow, and learn as an individual and a physician. 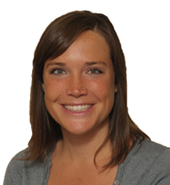 Ann Clark, MD is a second year resident at the University of Utah Family Medicine Residency Program.